BurrenLowlands Summer Market Gort Co. Galway Lady Gregory Hotel & Competition to win 500 Euros!! I was at the Bank of Ireland Sponsored event in Gort yesterday, which was fantastic, there was a great buzz and enjoyed visiting all the stands. I was blogging from the Blogger app which was very convenient, but I wasn’t able to upload Videos. I have posted all the videos in my Facebook group! There were a number of stands, and of them is of a group of volunteers called Burren Lowlands Development Company. Go check out their brand new website here or join their Facebook group! The Burren Lowlands Development Company has been established in response to the impact of the economic crisis in the area. The company is a voluntary group working to promote the area to make it a nicer place to live, work and visit. It has undertaken a number of projects including the opening of a tourist office, the development of an economic strategy, the establishment of a tidy towns group in Gort, the development of a website etc. 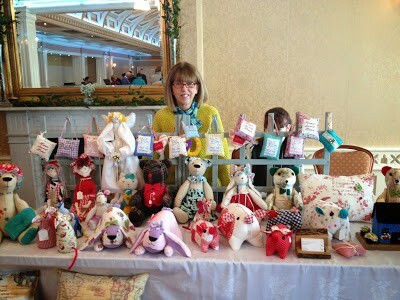 One of the projects they set up was the Burren Lowlands Summer Market in The Lady Gregory Hotel in the centre of Gort. I called over and talked to the stand holders. Katy’s stand was beautifully laid out with a variety of handcrafted items, ranging from little baby treats, to larger items such as door stoppers and plaques. Below is just a selection, check out Katy G’s handmade Crafts Facebook page here for more info. I had brought my son to the Summer market, and before I knew it, he had selected two prints to buy. The prints are made by a local artist in Kinvara called Chris Murray. Check out his website for more prints and paintings here. If you are interested in Aloe Vera products, contact Fraoch Shiel via her Facebookpage here. I have known Zelda for a long time, and makes a great selection of candles. You can contact Zelda via this email. I had never seen this type of pots, hand decorated by Maya. There were also some lovely Burren slates with similar motives. Available for sale in the Gort Garden Centre. I had a great chat with Catherine, who has recently returned to Gort and is getting her qualifications to farm organically. I bought freshly cut leeks. Boy, they smelled absolutely gorgeous and I’ll be using them to make fresh vegetable soup. Catherine was the musician that was playing the accordeon at the event yesterday. And a very busy stand selling Wheat grass Shots and everything you need to cultivate and press your own wheat grass shots! Check out Piotr’s Wheat Grass Nation Facebook page here. To finish off, The Burren Lowlands would like to develop a promotional video for the area, and is holding a competition for the best positive short(1-3 min) Youtube video on what you like best about the Burren Lowlands area. The prize is 500 Euros! Entries to be sent to email by September 1st! Check out their website here. Get your cinema ticket for 3€ !